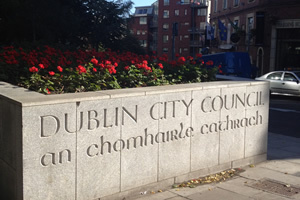 In 2008, OHAC was engaged by Dublin City Council to review the overall accessibility of the services being provided by Dublin City Council. The purpose of the services review was to recommend improvements to services provided by City Council to all users. The services reviewed key departments, access to services, information provision, access to the built environment and employment/human resources. In 2009, OHAC carried out a number of training sessions to technical staff in Dublin City Council on access to the built environment. This training covered the barriers faced by people with disabilities when accessing buildings and external environments; Universal Design; and how to make buildings fully accessible. From 2010 to 2011, OHAC was engaged by Dublin City Council (DCC) to develop and provide a tailored disability proofing programme to ensure accessibility was mainstreamed across all departments of DCC, including Human Resources, Facilities Management, Corporate Services, Planning and Housing. The project, in collaboration with Equality Strategies, involved assessing disability access relating to customer services, human resources, the built environment and information provision. In 2012, OHAC was engaged by the Planning Department to provide technical training on Universal Access and Universal Design.